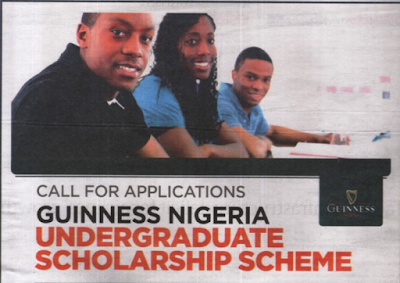 Applications are invited for the Guinness Nigeria Scholarship Scheme which will be provided to Nigerians who are seeking to pursue a degree program in Nigeria. The scholarship will provide full tuition for students who are currently studying in Nigerian Universities and Polytechnics. Eligible Field Of Study: Engineering & Sciences – Mechanical, Electrical, Chemical, Lab Science, Microbiology, Bio-Chemistry, Marketing & Sales, Human Resources/Industrial & Labour Relations and Accounting.